Standing (l-r): Billy ?, Eddie K. Jines, Ed Rabun, Bert Oliver, and James R. Mason. 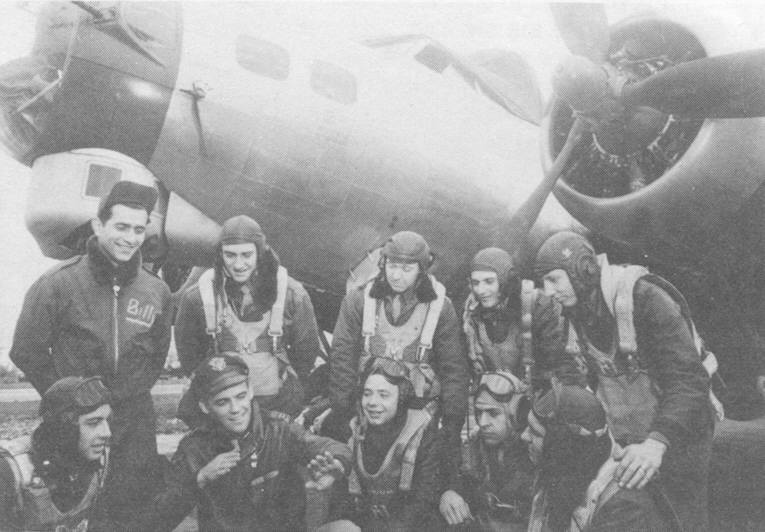 Kneeling (l-r): Seymour Isaacs, Capt. Petersen (pilot of P-51 Hurry Home Honey), William Munter, Robert Platz, and Ken Hood.